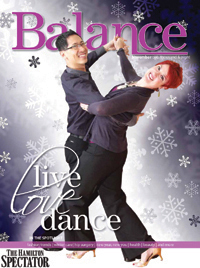 It’s hard to imagine that it has been almost 10 years since I first contemplated leaving the corporate world to become a “Ballroom Dance Instructor” with Beverley, the love of my life. It sounds crazy in hindsight. But those inner voices – or maybe it was just innocent blind faith – said that it was the right time to do it. Just as those voices are saying now that it’s the right time to start this blog. 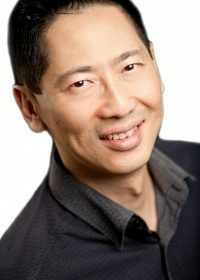 Just who is Robert Tang? 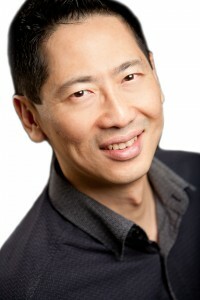 Also known as Terence (Terry) Tang. Or Lit-Meng Tang. Well, my official resume states that I am a former 3-time Canadian and 2-time North American Undefeated Amateur Standard Ballroom Champion. Yes, like in “Dancing with the Stars”. If you search on Google, you might find some vague reference to how shortly after my birthday in September of 2000, two “Angels” from Seattle, Washington, granted Beverley and I a once-in-a-lifetime-“wish” to be able to quit our jobs – myself, as a Marketing-Communications Manager for a software company, and Beverley as a Manager of Interlibrary Loan Services at a government agency – to start up a company that could possibly change the dance industry. How cool that I could call myself “President and CEO”, even though I really didn’t feel ready at the time. Nor that I earned that title. The “Internet Bust” happened shortly after that. You might also find how that “wish” later became the invisible “dot” in our life line that connected us to the legendary Tim Draper, the father of “Viral Marketing”. Now, there’s someone with an impressive resume! And how this was all documented on CBC Television’s “Fortune Hunters”. If you dig a little deeper, you might come across another reference how we were selected to participate on CBC Television’s “Dragons’ Den”. If ever there were a “Hell”, I have lived it (any sadists out there can view the repeat of our episode of appearance in the finale Dragons Den Special episode coming up in September). Upon further reflection, I can honestly say that this show more accurately represents my purgatory, as it has propelled me to start dealing with personal demons of acute shyness and dyslexia that have plagued me for most of my life. And, if you happened to tune in to VIVA Television in August, you might have seen Beverley and me on “Healthy Gourmet”. That experience has restored my faith that there could be a God after all! But this is only part of my life story. Chinese astrology states that there are two major fate cycles for people: one is the 10-year cycle, the other is the annual cycle. And these cycles can foretell the rise and fall of our destiny, as represented by Stems and Branches, or through the five elements of Metal, Water, Wood, Fire and Earth. Not that I believe entirely in Chinese astrology, mind you. But having emigrated from Malaysia to Canada in 1969 with my mom, Judy (Lynita Mun Pin), and my dad, Aaron (and no, he’s not Jewish! His Cantonese name is Kok-Chew), there are many aspects of their spirituality and faith that I and my sister, Selina (Kwai Lan), have now come to appreciate. I’ll have more to say on this subject later. Beyond Chinese astrology, scientific research about passion and performance in sport does reveal that performance at an “Expert” level in activities such as chess and music (e.g., Ericsson et al., 1993; Ericsson& Lehmann, 1996), as well as sports (Baker, Côté et al., 2003; Starkes, 2001) necessitates a sustained involvement in deliberate practice for at least 10 years! In other words, if you work at something you love long enough, you might actually become good at it. So, by way of this blog, I have set as a personal mission to reflect on my trials and tribulations over the past decade’s cycle, as well as to take time to capture life’s experiences and lessons as they happen during the next 10 years! For those of you who may be passing by on your online journey through the web, and momentarily stopping by this blog, I hope that you will share how you are transcending your own temporary trials and tribulations, or pursuing your passions. I also hope that this blog may inspire you to connect the dots in your life. If it does, drop me a line at info@robert-tang.com or post your link and comments here, as I’d love to hear from you.